The arrest came as Rio Grande Valley Sector agents encountered a group of 54 who illegally crossed the border from Mexico. The agents were conducting patrol operations along the Rio Grande River that is the only barrier to entry in this area. Information from Rio Grande Valley Sector Border Patrol officials revealed the group consisted of family units, unaccompanied minors, and adults traveling without family. 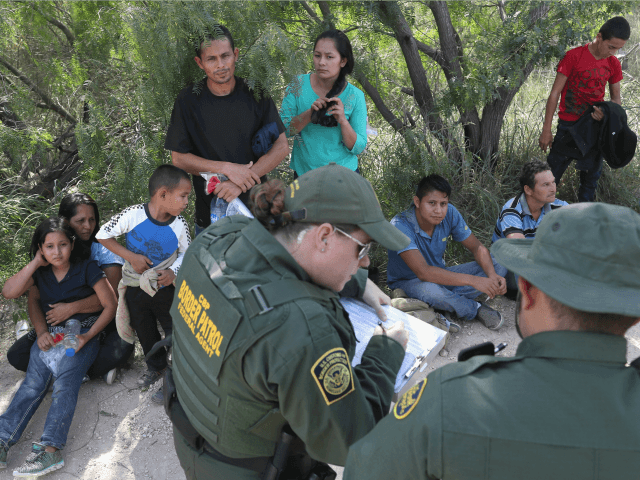 The Weslaco Station agents identified the members of the group as being composed of 19 Family Unit Aliens (38 people), 14 Unaccompanied Alien Children, and two adults — all from Guatemala, officials stated. The agents took the migrants into custody and transported them to the Weslaco Station for processing according to Rio Grande Valley Sector protocols. Not far away, McAllen Station agents rescued two from drowning in a canal after the migrants jumped in the river to avoid apprehension. The migrants immediately began to struggle to stay afloat. Agents responded to the pair and pulled them to the bank. The agents provided basic emergency medical care at the scene and arranged transportation to a local hospital for further treatment. Further inland, Kingsville Station agents received a report of a deceased migrant on a local ranch. The agents responded along with deputies from the Kenedy County Sheriff’s Office and a local justice of the peace who made the official death declaration. To date, 260 migrants lost their lives during or shortly after illegal border crossings, Breitbart Texas reported. This represents a 180 percent increase over the past five years, according to the Missing Migrant Project.